Board out of shape but not bored out of mind: blues maven delivers one of the finest albums in his five-decade long career. This album’s predecessor was called "Diggin' Down" to make obvious the fact that Mick Clarke ain’t gonna stop searching for the core values of what started in 1968 with KILLING FLOOR. Fifty years down the line, the guitarist still spills licks all over the abbatoir, and “Bent Frets” – a continuation of his record-a-year run – may be the veteran’s best offering: it’s pretty amazing how such a more-of-the-same approach can turn into an upward spiral… or, given the direction of Mick’s mining efforts, into a downward one. “Efforts” wouldn’t be the right word here, though, as in Clarke’s hands even the multi-layered acoustic covers of “Come On In My Kitchen” and “Spoonful Blues” sound effortless, while it’s fairly difficult to infuse such chestnuts with inspired originality – yet he pulled it off with a smile. From the mighty rumble reining in the boogie of “Daddy-O” to “Leaning To The View” whose country whiff is so alluring, there’s celebratory vibe being peeled off the artist’s strings to fill the lyrical likes of “If You Really Mean It” and the boisterous numbers of which “Number Nine” is a prime example. But, with drama set in the harmonically trembling heart of “Mean Old World” and “Heart Of Stone” full of political angst, Clarke doesn’t let up in terms of emotional tension even when he frowns, the echoey “La Mauvaise Herbe” rattling its romanticism around the listener’s ears in an anxious, if lascivious, way of Montmartre haunts. 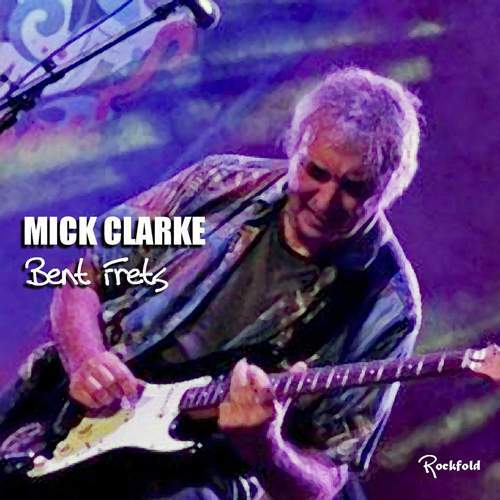 Still, it’s the heavy beat of “Still Be Mine” that ram the axman’s point home: bent frets are a sign of commitment which will never leave Mick Clarke’s veins – the blues are his for ever.